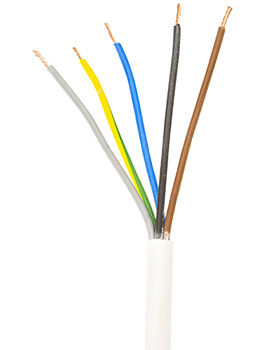 To do a good job, you need to have the correct supplies, and our selection of wiring, flex and arctic cable should have you covered for every eventuality. 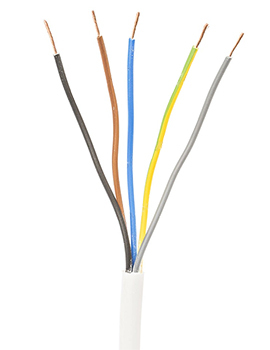 We stock a range of items in a choice of styles and strengths, made to suit both interior and exterior electrical fittings. 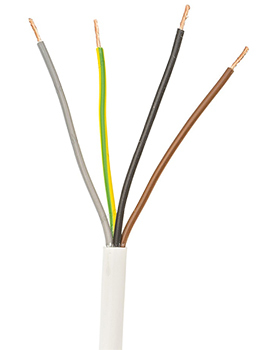 These can be purchased either on a drum for convenience and maximum value or by the metre, for smaller jobs. 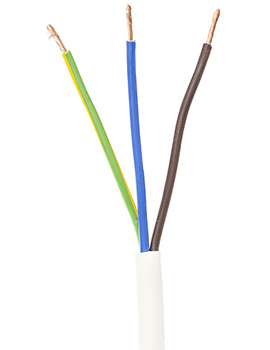 We offer a choice of two core or three core flexible cabling, depending on the appliance that you are working on. 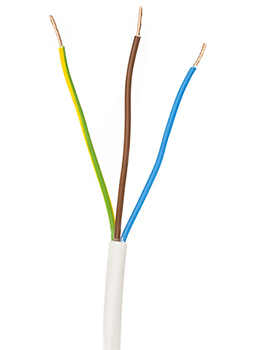 As a general rule, two core cabling consists of a live and neutral wire and is meant for appliances that are double insulated and do not require an earth connection. 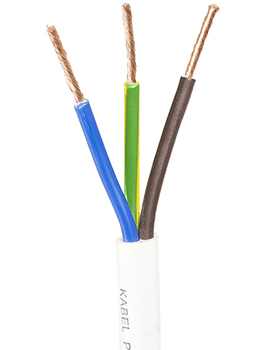 Three core cable, on the other hand, is for single insulated appliances that must be fitted with an earth connection. 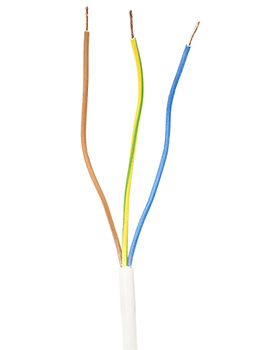 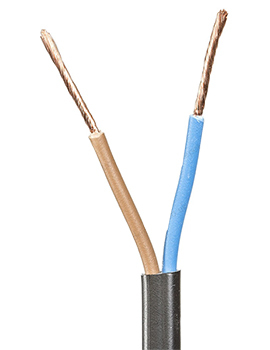 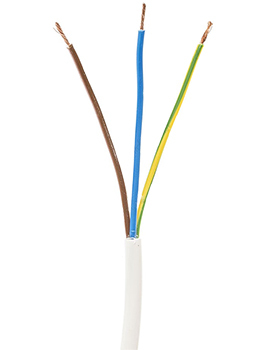 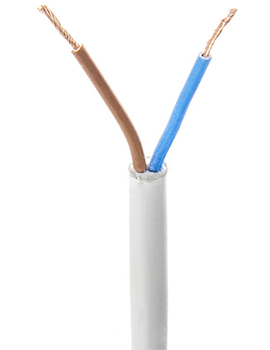 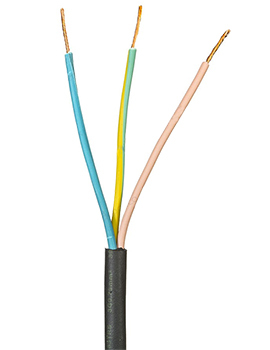 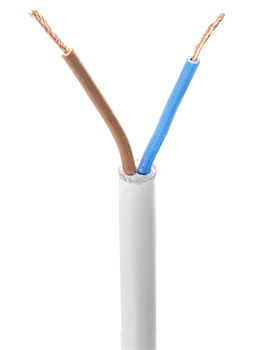 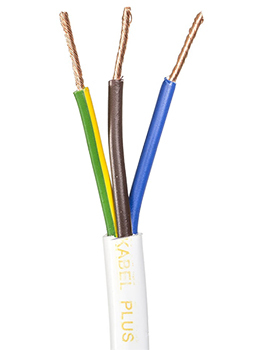 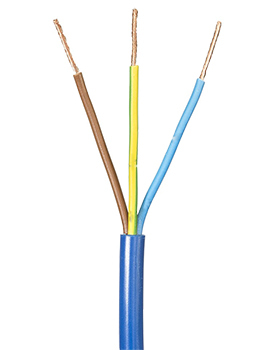 Four core flex is also stocked if required and is often used for connecting items such as PIR detectors, that require both a live neutral and earth wire, as well as a switch. 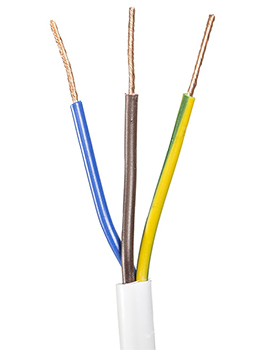 It’s very important to check any appliances before installation to ensure the correct product is used, so please ensure you check before purchasing. 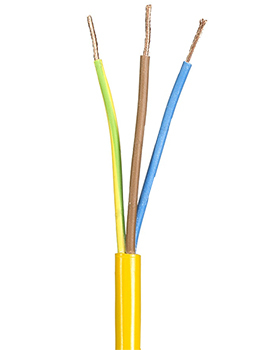 For exterior work, which often requires extra durability, take a look at our selection of flexible blue and yellow arctic cables. These have been designed to specifically protect outdoor installations from the heat, as well as the cold. 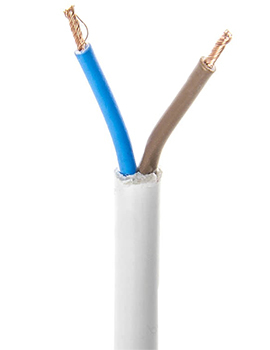 Arctic cables remain flexible in harsher conditions and can withstand temperatures down to -40°C, as well as hotter surroundings that can reach as high as +70°C. 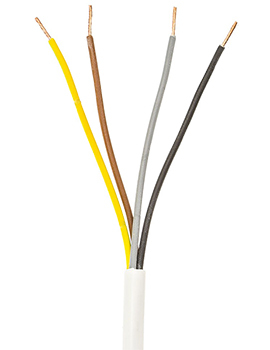 Our black toughened flex offers a more durable alternative to the regular white flex and can be used in areas that are likely to need a bit of extra strength and protection. 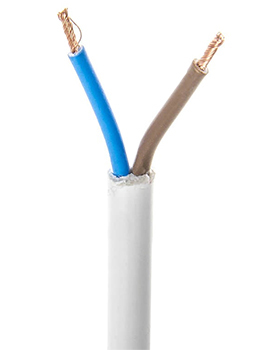 All our flex and cable stock are designed to the highest specifications and meet full safety regulations.